One of the ways I chill out, de-stress, recharge, rejuvenate or detox is in my bath. 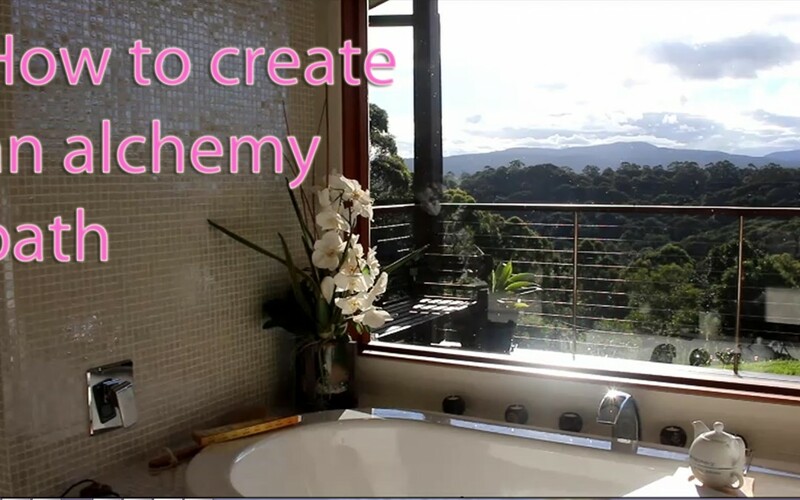 But it aint just any old bath, I love an alchemy bath and in today’s video I am going to share with you my secret to creating a beautiful alchemy ritual where you can turn the trash of your life into treasure. It all starts with intention. Intention is king. Then anything else is used to actualise that intention. So the candles that I light, the incense that I burn and the chimes that I ring all come together to create a beautiful, soulful energy. Then we invite the Angels in to join us and to assist us in our healing. This is where the real alchemy happens. When we call in divine energy we can create beautiful magic together. Next we add our special salts and essential oils, all designed to help us achieve our desired outcome. Add to this a cup of herbal tea in a sacred teapot and we have ourselves a little something special. Watch the video to find out how all this happens. If you would like to share your special bath ritual then please add your comments below. And don’t forget if you have any questions about losing the struggle, stress and strain from your life then please drop me a line, I would love to help.